Rose tries to push through the memory gaps and start her new life, attending high school and living in Boston with her aunts, who have seriously old world ideas. Especially when it comes to boys. 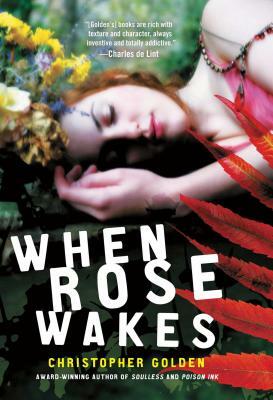 But despite their seemingly irrational fears and odd superstitions, they insist Rose not worry about the eerie dreams she’s having, vivid nightmares that she comes to realize are strangely like the fairy tale Sleeping Beauty. The evil witch, the friendly fairies, a curse that puts an entire town to sleep—Rose relives the frightening story every night. And when a mysterious raven-haired woman starts following her, Rose begins to wonder if she is the dormant princess. And now that she’s awake, she’s in terrible, terrible danger. . . .